While I don’t have full usage history for our internet connection, I do have the past four months. 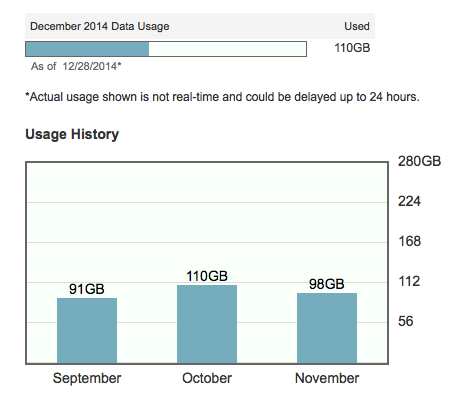 If I extrapolate that data then I can summarize that we have used on average about 102 GB of bandwidth each month in 2014. Most of that is probably Netflix related. In total we spent $399.78 for internet in 2014, or 32¢/GB. You can read more about trimming your bill here and here. Our furnace, water heater, and oven all use natural gas. Heating continues to be the number one demand for gas in our household. 1 CCF is 100 cubic feet or the equivalent of 748 US gallons. An olympic swimming pool holds 660,000 gallons. We couldn’t quite trap all of the natural gas we used this year in an olympic sized swimming pool. Insulating (part 1 and part 2) our house will hopefully conserve more resources in the future. Our main enemy are our leaky windows (temporary fix). Is the amount that we have trimmed off our mortgage principal. We started making quadruple payments in April and are motivated to be mortgage free by the end of next year. 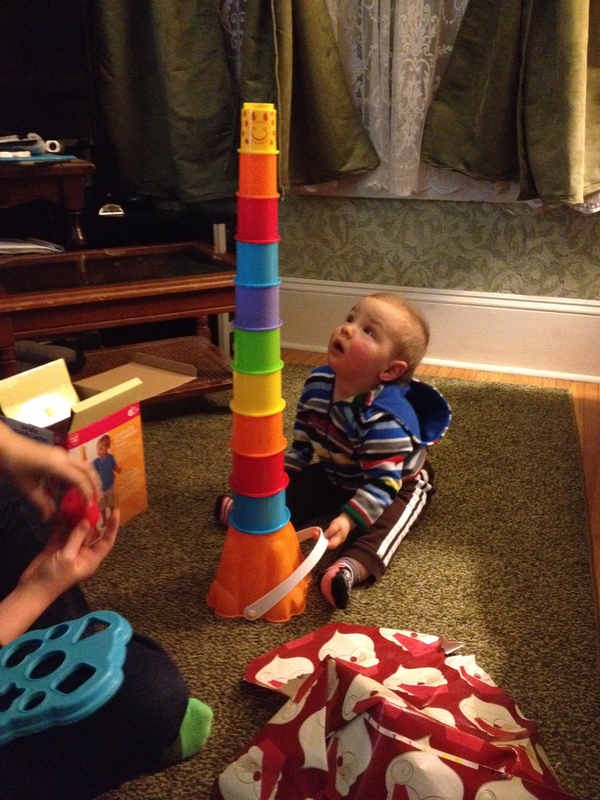 Living frugally and skimping on gifts to ourselves has helped (see frugal gift ideas here). Debt is an emergency! That is about three milk tankers. 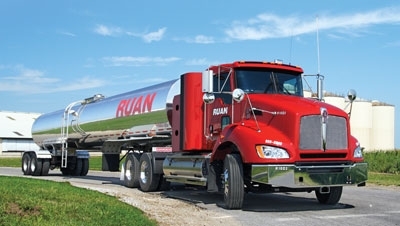 According to the EPA, the average American uses between 80-100 gallons of water a day. Thanks to the installation of low flow faucet aerators (here) and low flow toilets (here and here), we averaged about 25 gallons per person (with Frugal Boy included it would be about 17 gallons). 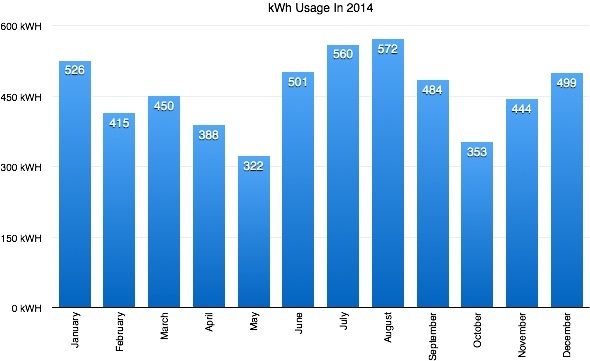 According to the US Energy Information Administration, the average household uses 10,837 kWh a year. We came in about half of that thanks to using CFL and LED lightbulbs instead of incandescent. We also use the low heat setting for our dishwasher and try to turn off lights and other energy suckers when they are not in use. Our total electric bill for the year came out to be $652.92. $49 of that was just to have service provided. Having a baby is expensive, especially when things don’t go according to plan. Having good insurance and understanding what it covers means that we only paid $387.98 out of pocket. That was even with the highest deductible plan. Health Savings Accounts, HSAs, are awesome (especially when it is employer money)! The number of states we visited this year. Read more about it here, here, and here. The number of teeth that Frugal Boy has. Aye aye aye!!! 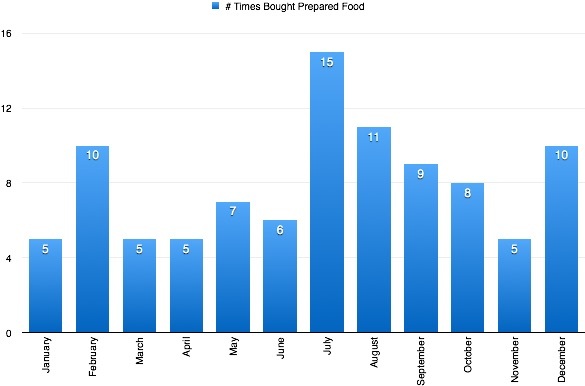 The number of times we bought prepared food (restaurants, take out, forgot to pack a lunch, anything except the grocery store). February we had a baby and grabbed more than one lunch/dinner from the sandwich shop. July and September we went on semi long road trips. Maybe a good challenge for 2015 would be to go a month without going out. According to the little statistics screen on my phone, I blabbed for about 22 hours in 2014. Google Analytics tells me that is how many sessions (not to be confused with page views) that this blog has had in 2014. 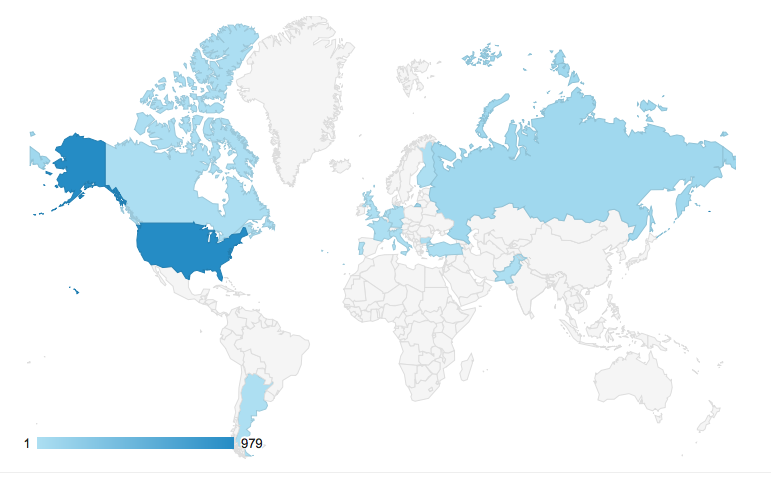 90% of those visitors are from the good ole United State of America. 7.5% are from Russia (hey leave a message, assuming you aren’t a bot), and the rest are scattered about. You may have noticed that you can no longer comment on older articles. That is my attempt to cut down on spam. Thankfully I have to do virtually no work to manually eliminate the junk because of the wonderful Akismet wordpress plugin. The number of roads a man must walk down or maybe just another good year. Enjoy and live frugally! You probably know who Warren Buffet is, but do you know about John Bogle? If you invest through Vanguard then you should, because John Bogle was the pioneer of low cost index funds. In his book, John Bogle on Investing: The First 50 Years, he presents a collection of essays and speeches that discuss the founding principles of Vanguard and why those principles are just as important today as they were 50 years ago. 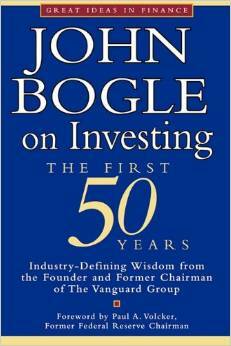 Bogle argues again and again that simplicity is favorable over complex investing strategies time and time again. The more complicated you make investing, the harder it is to understand and the easier it is to get caught up and make a mistake. Why go to the trouble of sorting through a haystack to find a needle when you can just buy the entire haystack. In his opinion, instead of trying to pick winners (needles) out of the stock market, just buy the entire stock market (the haystack). The simple goal of enjoying the entire market return in aggregate will statistically beat the complicated goal of trying to outperform the market by identifying the best stocks. The longer the time horizon is for the investment, the better it will do. While stocks are more volatile than bonds, over a 25 year horizon that increased volatility drops to a standard deviation of just 2% of a 6.7% median return (meaning that you could expect returns between 4.7% and 8.7% with a degree of confidence). Compare that to the one year deviation of 18.1% on 7% median return (-11.1% to 25.1%) and you can see how the longer you hold an equity the more the peaks and valleys are smoothed out. Just like Buffet, Bogle takes a buy and hold mentality. Vanguard is unique among brokerages because it is a mutual company. When you buy a Vanguard fund, you become a part owner of the company. The advantage of this over a private company, is that Vanguard wants to better serve its masters, and those masters are fund holders. What do fund holders want, lower costs! Consider the two scenarios below. 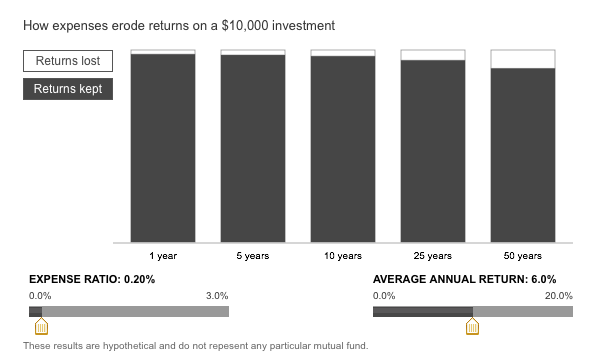 One portfolio has a 1.2% expense ratio, the second has a 0.2% expense ratio. Now which expense ratio would you rather have? Cost is one parameter that investors can control! An actively managed fund has a human being or a whole team of humans that are trying to pick winners for a fund. They eat, sleep, and breath financial markets. Why try and choose winners yourself when you can let a team of experts do it for you? The answer is that you shouldn’t let the ‘experts’ do it for you because historically they have been outperformed time and time again by index funds. Index funds are passively organized to track a benchmark. A common example would be an index fund that recreates the S&P 500. Index funds can pass cost savings, by not having to pay a salary to an expert, to you, the person who is risking their hard earned money. Bogle loves to tear apart actively managed funds in his book by showing cold hard numbers again and again. The numbers don’t lie, actively managed funds underperform. Just take a look at this analysis done by Forbes. Using VTSAX, Vanguard Total Stock Market Index Fund, as the baseline, they compared 54 actively managed funds that had the same investment objective. 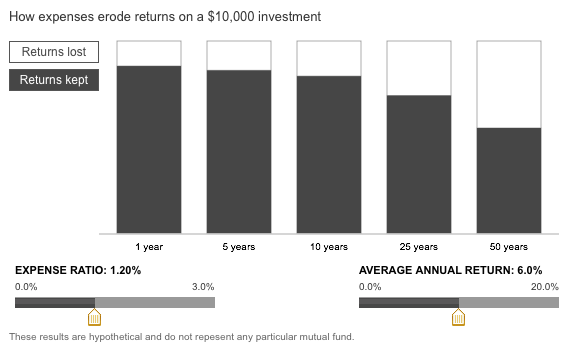 78% of those actively managed funds posted returns less than the passive index fund. 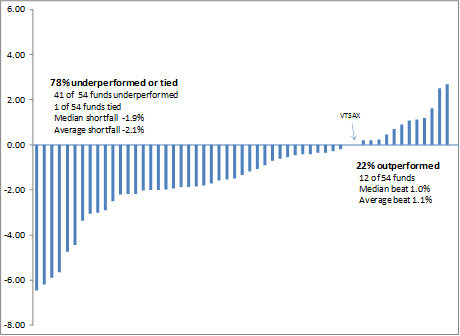 Only 22% outperformed VTSAX. If I approached you and said you had a one in five chance of beating the market, would you bet the farm on it? If so, please don’t go to Vegas, they’d love you. The book is quite long and not for the new investor. If you are interested in getting started in investing (you should be!) then I would recommend that you check out Vanguard’s 4 Principles for Investing Success on their website. Then use Vanguard’s Portfolio builder to get a recommendation that is personalized to your situation. By switching from ETFs to a mutual fund, we are simplifying our contributions. In the future we will be able to setup a monthly direct deposit directly into VTSAX instead of transferring money into our account and manually placing buy orders for each ETF. We will also be reducing our cost. 0.05% expense ratio is an incredible value! You may be wondering about diversification. Well, VTSAX, with 3804 holdings, gives us ownership in virtually every publicly traded company in America. We’re buying the haystack. Our prepayments on our mortgage serve as our ‘bond’ replacement, and I am not convinced that in our investment horizon (20+ years), foreign equity or bonds are needed at this time. So there you have it. Our low cost, indexed, long term, and easy to understand investment portfolio. It consists of buying and holding a single mutual fund. What could be easier than that? If you are just getting started VTSMX is the same thing as VTSAX except it has a lower initial investment requirement and a slightly higher expense ratio. VTI is the etf version. This is the last weekend before Christmas and because it was a bit chilly to walk outside with Frugal Boy I braved the mall. No, I’m not a masochist, I just know that Frugal Boy loves people watching and what better place is there to people watch than the mall before Christmas. As I was unloading the stroller back at home, one of our neighbors came by and asked if I had finished my Christmas shopping. I told him no, I had never even started. He offered me luck on a seemingly impossible task, to save Christmas in less than a week. What I didn’t tell him, was that while I hadn’t done any traditional shopping, I was in fact done with gift giving. Shae and I have always had an aversion to trying to find the ‘perfect’ gift for one another. The hassle of it all, shopping, buying, wrapping, keeping the secret, and hoping for a genuine positive reaction during the unveiling is all a bit more work than either of us would like to do. In something of a growing tradition, the goto token gift has become new pairs of socks, simple, practical, and fairly cheap. Our unconventional gifts to one another are both easy to give and a joy to receive. This year we both paid off a chunk of our mortgage for a combined extra prepayment of 10%. 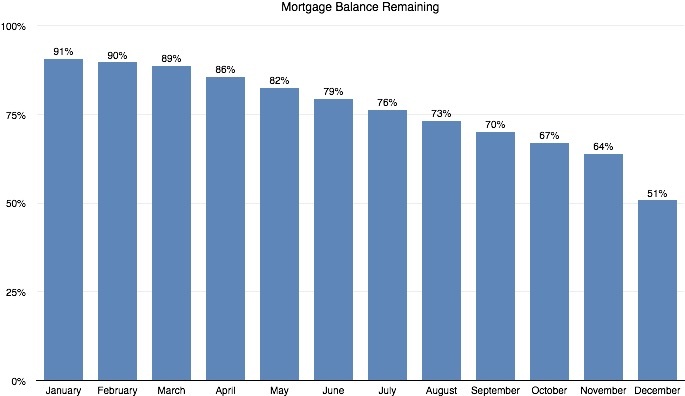 All told, in 2014 by living frugally, we have been able to shave off 40% of our mortgage this year alone. The quadruple mortgage payments that we started making in April have set us on track to be mortgage free in about 12 months (assuming we give ourselves the same present next year)! Yippee! 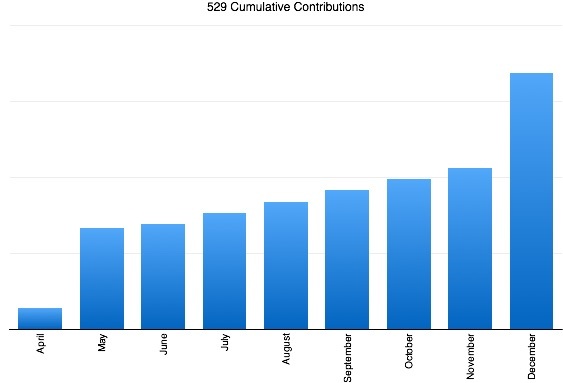 Frugal Boy isn’t old enough to really appreciate presents, so this year we just made a contribution to his 529, college savings, plan. You can see two jumps in the chart. The first in May when we put inheritance money towards future education and another in December when we gave him his present early. While a 100% monetary gift works well for babies, because they don’t understand the concept of a gift, it probably won’t be a smash hit with older children. In the future we will continue to spend a substantial amount of Frugal Boy’s gift budget on 529/savings contributions while spending a bit of money on a token toy. After all, as parents, it is our job to take care of the needs and necessities first. We can let his relatives spoil him with the ‘fun’ stuff. If our Christmas tree is any indication, that is exactly what is happening (100% of the presents are to Frugal Boy). While we haven’t done the traditional gift giving this year, we have done a frugal edition of it. A grand total of zero items were purchased at the mall, and most gifts came from our checkbook. Sure it isn’t the picturesque Christmas that you see in the films, but then again is that even the meaning of Christmas in the first place? With that said, are you done with your Christmas shopping? Today I was printing off Christmas letters to send off in the mail when I realized I had the perfect blog post sitting right underneath my desk. The printer! Sometimes I take for granted frugal choices that we made years ago. 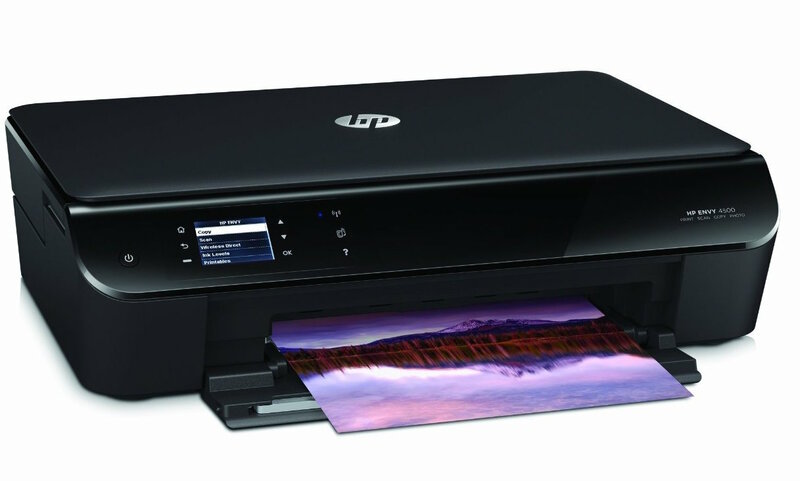 Consumers today have two distinct choices when it comes to home printers, inkjet or laser. Chances are, this is the type of printer that you have in your home. These printers often come with additional features besides printing, such as built in scanners and copiers. The majority of the inkjet printers sold are capable of printing glossy color photos, provided you have a color ink cartridge. An inkjet printer works by shooting liquid ink onto the media (paper, card stock, or what have you). That liquid dries by the time the page finishes printing. This is most likely the type of printer at the office. Laser printers work differently than inkjet printers, surprise surprise! A laser shoots a drum that builds up static electricity. That static attracts toner, powdered ink, to stick to the page. Finally the toner is permanently fused onto the page. We have a laser print, almost the same model as shown in the above picture. 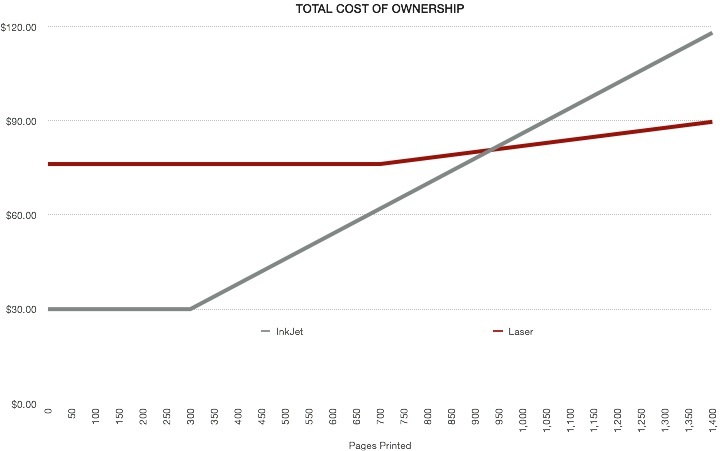 I did a little research and found some numbers on Amazon and vendor sites to put together a total cost of ownership comparison between an inkjet and a laser printer. For the inkjet printer, I tried to find a basic printer without a scanner or wireless. The Canon Office Products IP2820 seemed to fit the bill, and at a meager $29.99 price point it sure seemed like a painless purchase. The Canon uses PG-245XL black ink cartridges that run $23.99 on Amazon and have a claimed page count of 300, although reviews say it is more like 200 pages before becoming unusable. That puts the cost per page between 8-12¢ depending on who you believe. 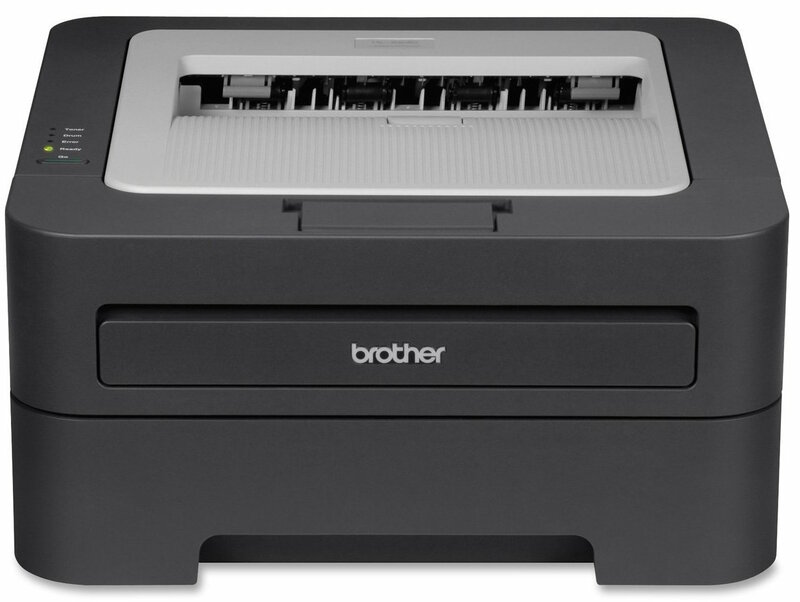 For the laser printer, I tried to find the closest model to the one we have and found the Brother Monochrome HL2230 for $76. It uses the TN-450 toner cartridge. The TN-450 costs $49.95 on Amazon and has an expected lifetime of 2600 pages or 1.9¢/page. Also, the HL2230 comes with a starter cartridge that is only rated for 700 pages. Then I calculated out the cost of ownership over the first 1,400 pages. Why 1,400? That is how many pages we have printed so far with our printer according to its information sheet (press the Go button three times, your printer may have a similar diagnostic detailed in the user manual you threw away years ago). As you can see, it becomes cheaper to own a laser printer around 900 pages. If you tweak the original parameters a bit and use the less favorable 200 pages/ink replacement you get an even uglier picture for inkjets. Now the breakeven is closer to 600 pages. We’ve saved between $28.36 and $84.36 so far by using a monochrome laser printer. If you really want to print off photos, let your local photo center handle it or better yet, use some of the free 4×6 prints that places like Snapfish are constantly offering. 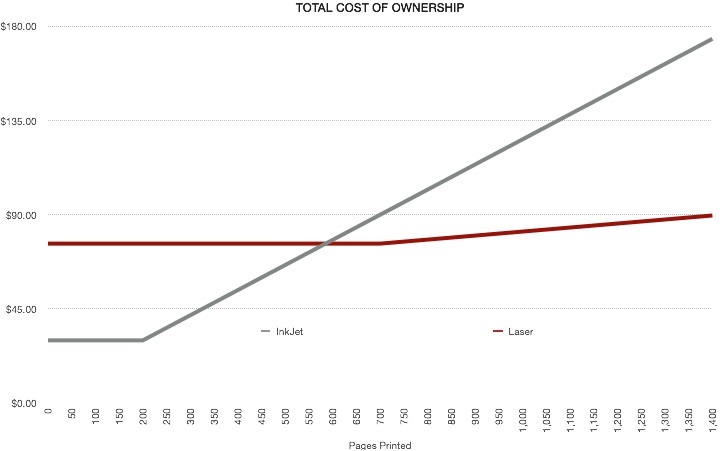 You don’t have to take my word that laser printers are cheaper to operate, just ask the folks over at Wired, who claim that using champagne would be cheaper than the ink cartridges that seem to only last a few dozen pages. We replaced our starter toner at 764 pages, a bit above the stated expectancy. We still have another 1,959 pages to print before we have to buy more toner. Some parents have their entire house baby proofed before they even leave for the hospital. That is not us. We take a lazier one step at a time approach. Maybe, just maybe our baby will overlook some dangers. Inevitably, that parenting style lands us into situations like the one below, where a very curious Frugal Boy explores his surroundings. We just keep a constant eye on him in ‘unsafe’ rooms. 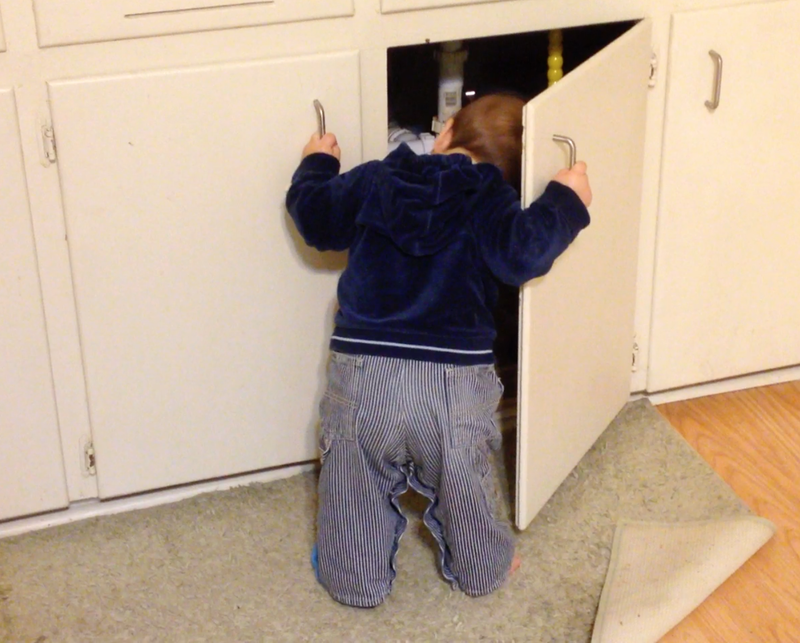 When he reaches new milestones, we do another round of baby proofing. Our refrigerator once had magnets and pictures all the way down to the floor, now it serves as an impromptu growth chart with everything below three feet cleared off. 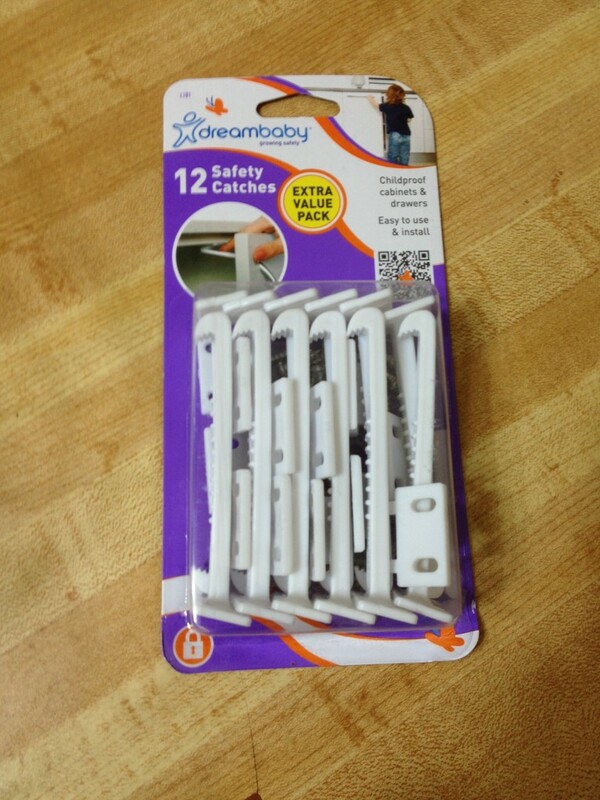 A trip to Menards and $5 later, we had a package of safety latches. It was pretty obvious that someone else had installed a similar product in the past as there were already holes drilled into our kitchen cabinets. 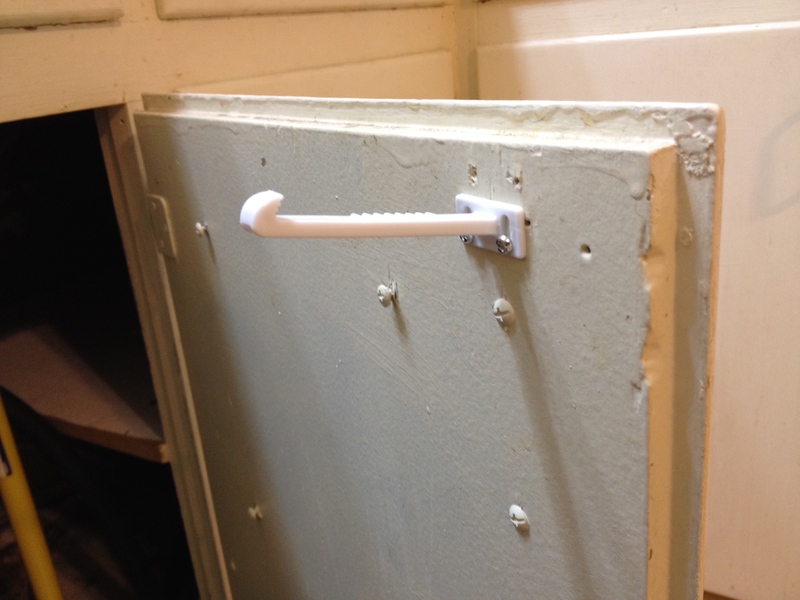 Growing up, I remember the sink cabinet having the same style of latch installed. Eventually I figured it out, but by then I was also smart enough not to drink bleach. With the cabinets secured our home is a little more baby resistant. I couldn’t resist making a spoof infomercial about the safety latches. 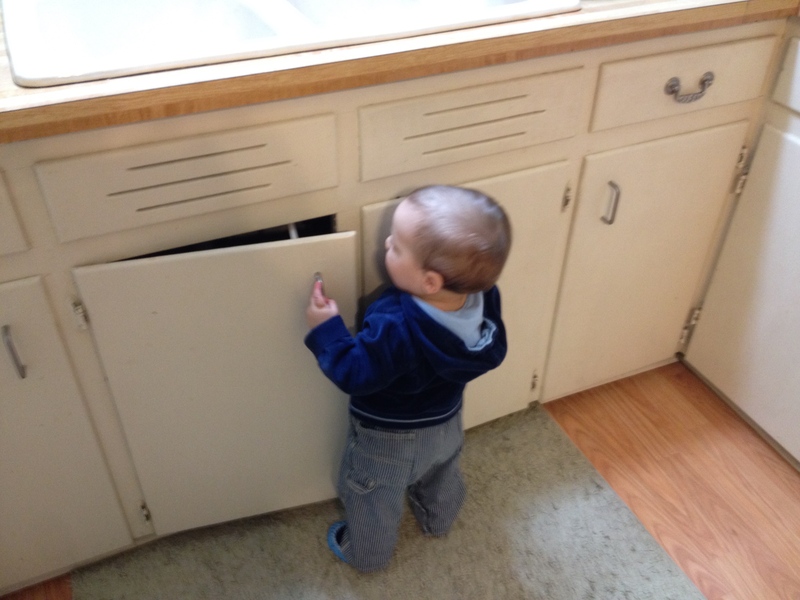 Frugal Boy was just too gosh darn cute poking his head into the cabinets to check everything out.